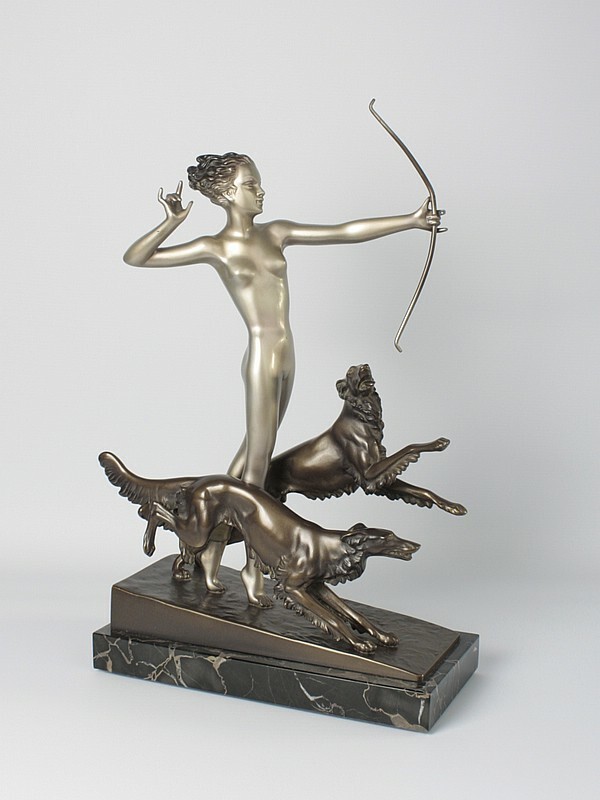 20th Century Decorative Arts has fine examples of Lorenzl Art Deco bronze, spelter and ceramic figurines for sale on the SCULPTURE pages. 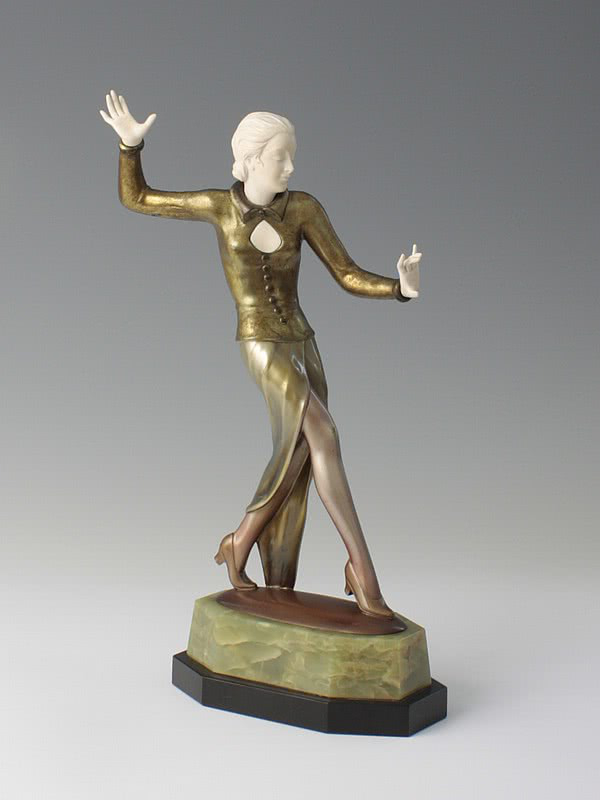 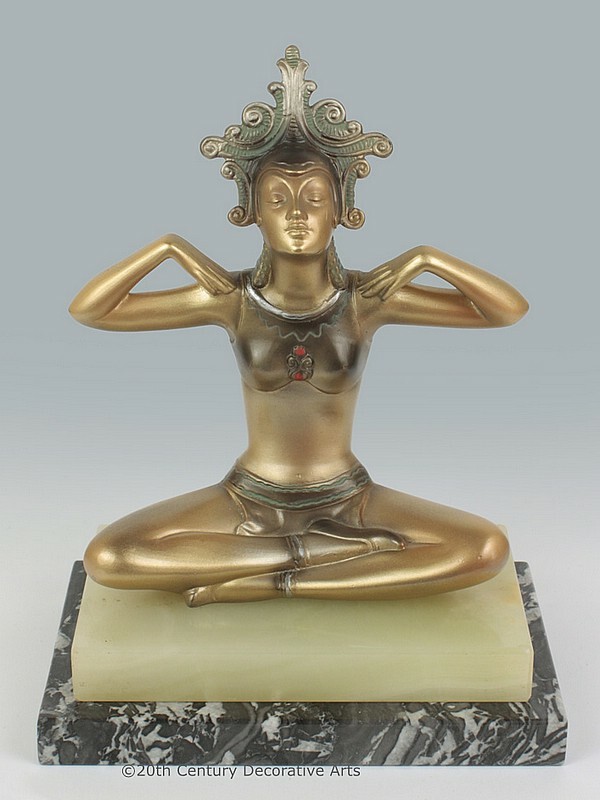 A famous bronze sculptor (original spelling Laurenzl) and ceramicist of figurines in the Art Deco period. 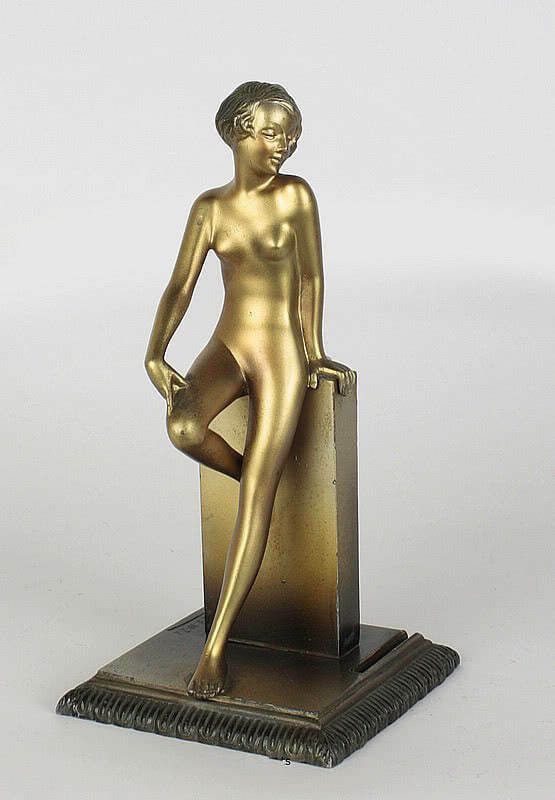 This prolific and talented artist worked from the early part of the 20th Century and started his career at a foundry in the Vienna Arsenal (a military storage complex located in the south-eastern part of Vienna) where he learned the techniques of bronze casting. 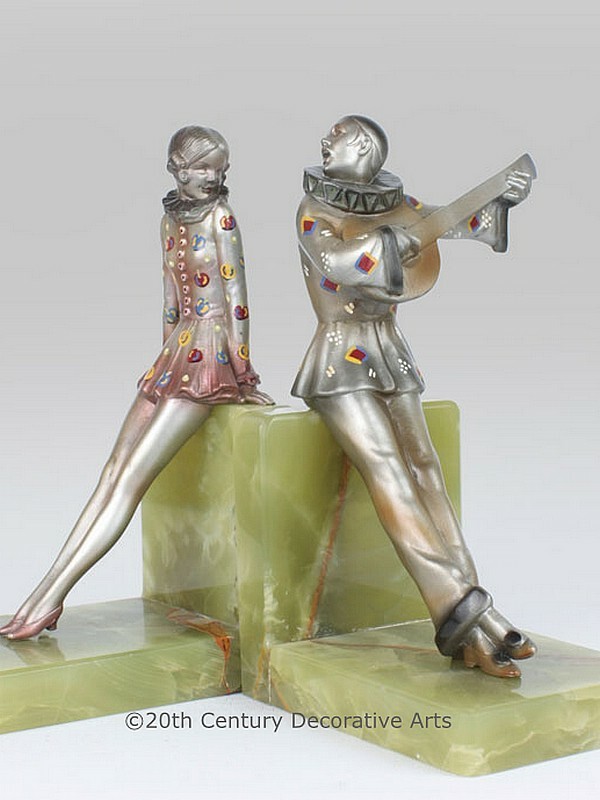 Here Lorenzl designed bronze and chryselephantine (a Greek word for precious metals / bronze combined with ivory) figures and also works in spelter. 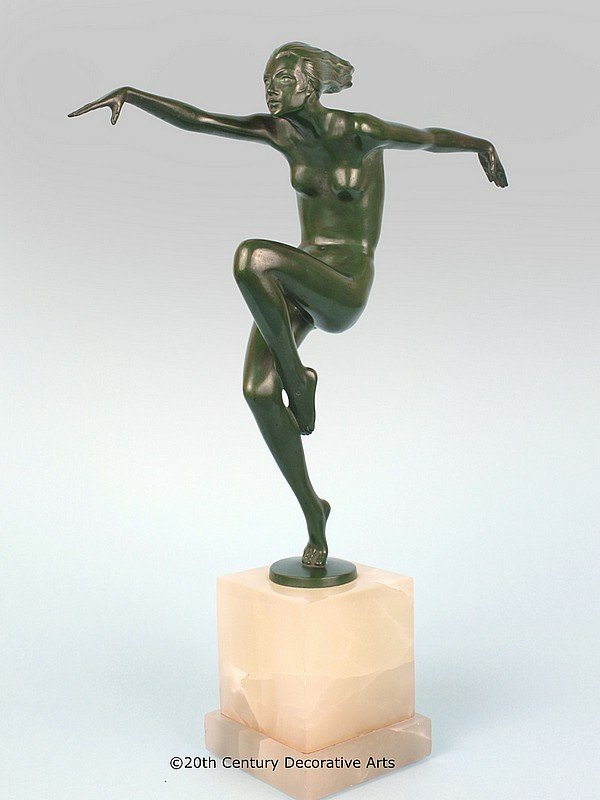 Lorenzl's signature style became slim dancers with long legs and exuberant movement. 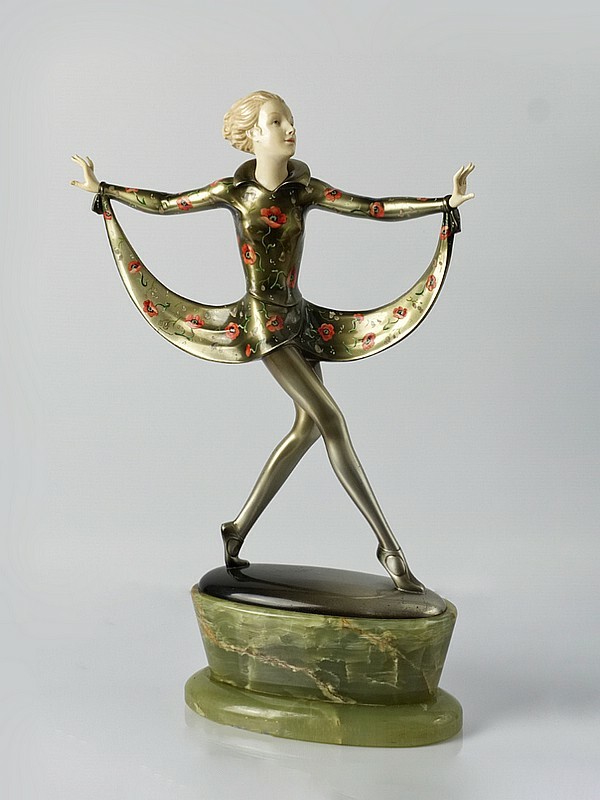 Many of these are "scarf dancers" beautifully cold-painted in bright metallic lacquers with the signature "Crejo” also appearing on some bronze figurines when floral or geometric decoration has been painted onto the cold-painted finish of the clothing (this applied decoration usually has an advantageous effect on prices). 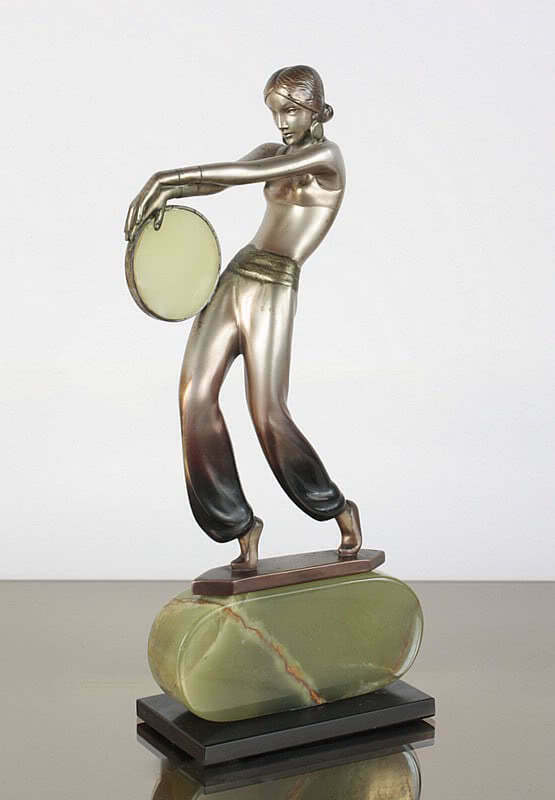 Examples of Lorenzl's figurines can be also be found mounted on clocks, bookends and as lamps. 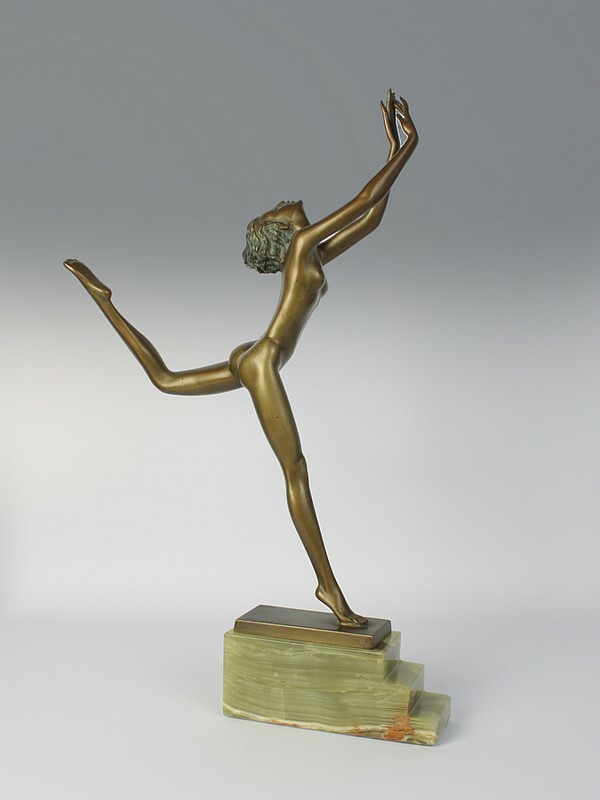 Because of the success of his bronze figures Lorenzl was approached by the firm of Goldscheider to design pottery figures for them, eventually working from a studio on the company grounds (he also brought Stefan Dakon into the company). 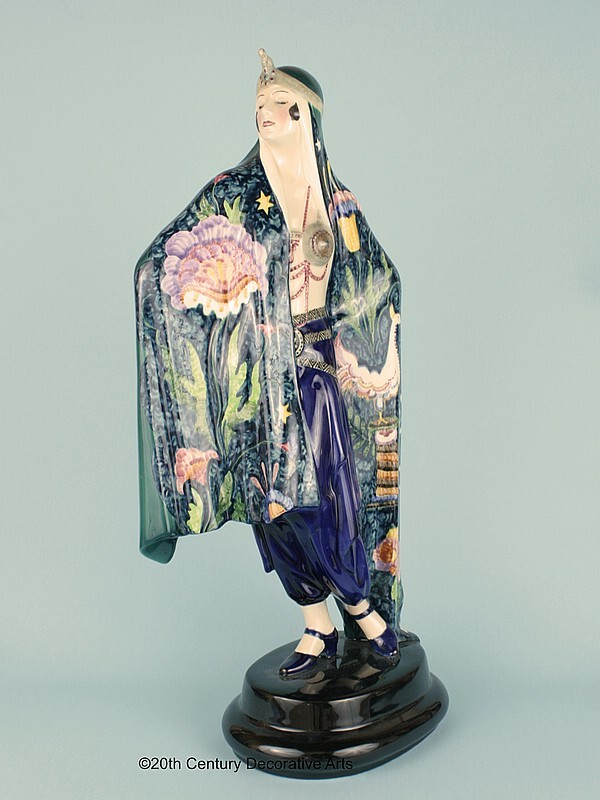 As with his chryselephantine pieces, his ceramic works were in great demand and became the embodiment of the Art Deco period. 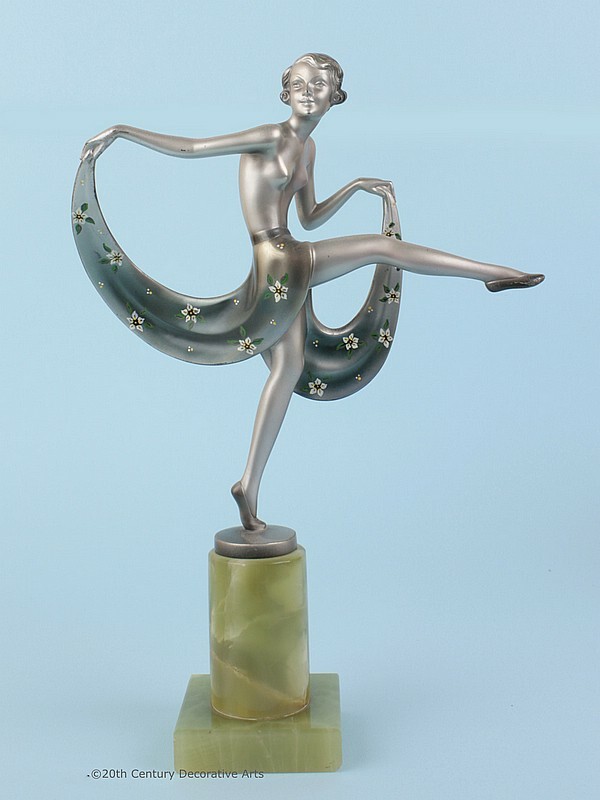 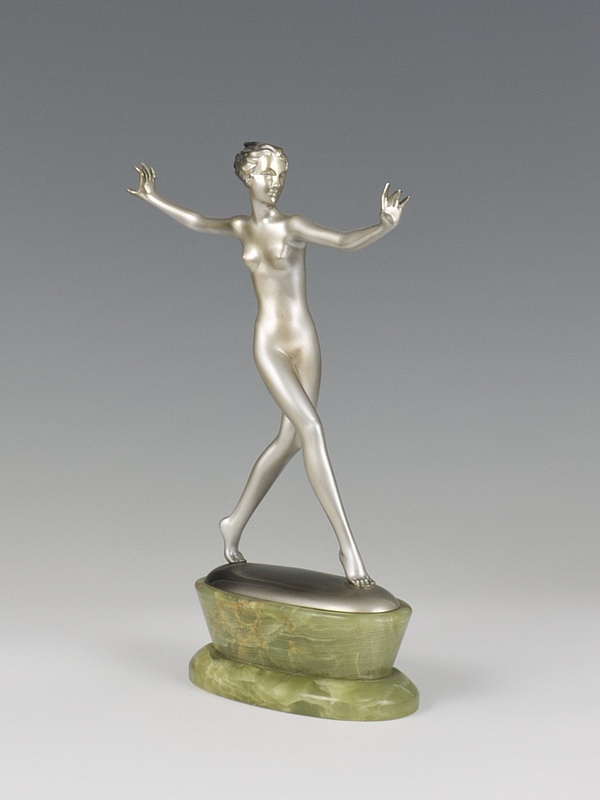 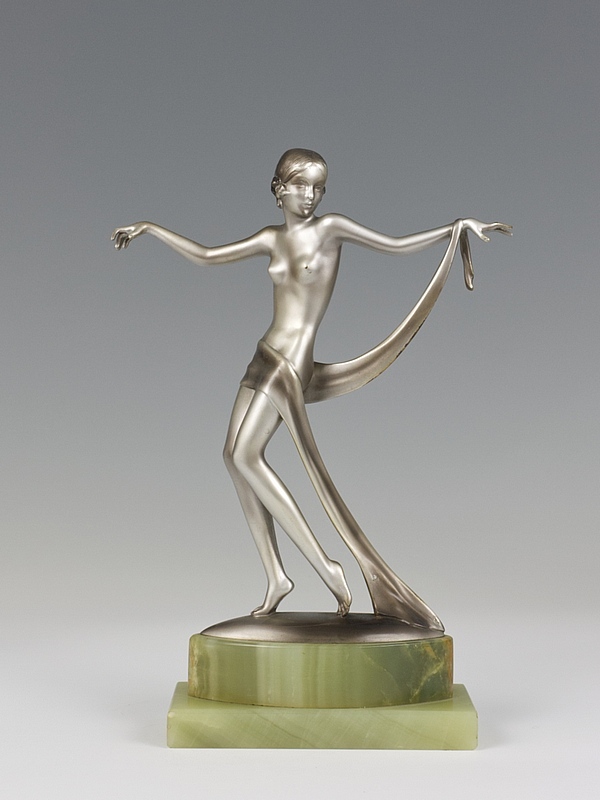 Famous among these is "The Butterfly Girl" modeled after the famous dancer Niddy Impekoven who worked in the 1920s. 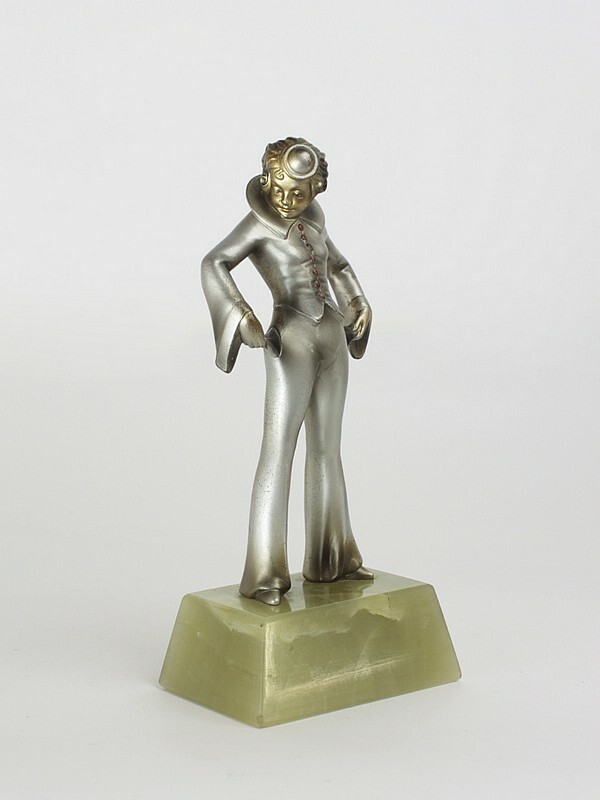 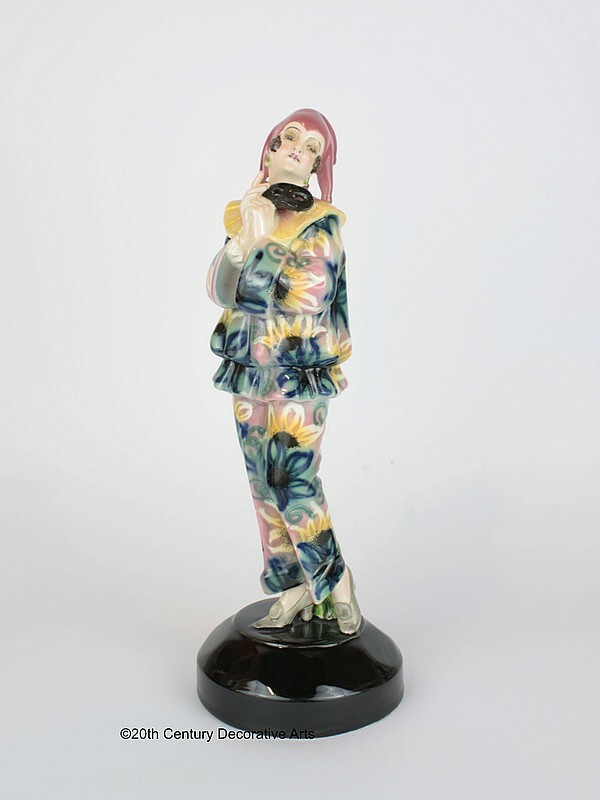 Many other figures were inspired by photographic models and cabaret and film stars of the 1920s and 30s. 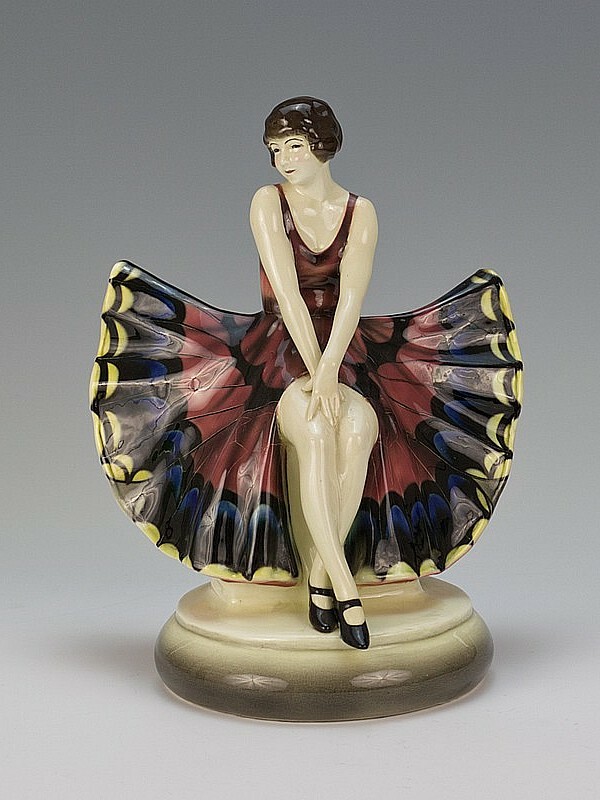 Lorenzl also designed for other ceramic firms such as Hertwig and Keramos.